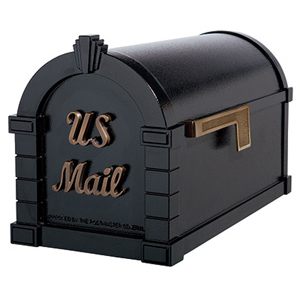 The Keystone mailbox has a solid antique bronze door insert and a solid antique bronze flag. It is die-cast from the highest quality rust-proof aluminum available. Each mailbox is painted with a 5-step powder coated paint process.